Dr. Tim Ioannides is the founder of Treasure Coast Dermatology, a multi-location dermatology practice with a proactive approach to medical care. Prevention really sometimes is the best cure, and at Treasure Coast, Dr. Tim Ioannides look at the patient as more than just another number. Dr. Ioannides earned his medical degree from the University of Miami School of Medicine. He served his medical internship at the University of Florida School of Medicine Health Science Center and completed his residency through the University of Miami School of Medicine in the Department of Dermatology and Cutaneous Surgery at Jackson Memorial Hospital. He is also Board Certified in dermatology by the American Board of Dermatology. He is a fellow member of the American Academy of Dermatology, the American Society for Dermatologic Surgery, and the American Society for Mohs Surgery. Dr. Ioannides is also a member of the American Medical Association and Florida Society of Dermatology and Dermatologic Surgery. With a background in cosmetic dermatology, Dr. Ioannides now focuses entirely on medical dermatology at Treasure Coast Dermatology. Having started out with one location, in the past 15 years, the practice which serves the area of Indian River, Martin, and Port St. Lucie counties in Florida has expanded to include five locations. He is a big believer in surrounding himself with a great team in his business. Everyone who works with him must have a team spirit and a genuine sense of compassion for the patients. Dr. Ioannides personally see every patient, on every visit. When he began thinking of branching out on my own, Dr. Ioannides took inventory of the most important facets of medicine, and the focus that he wanted to have within his own practice. He steadfastly believed in creating an environment where medical dermatology is the epicenter of the practice. Thus, when he opened up Treasure Coast Dermatology, his long term goal was to eventually not perform any cosmetic procedures, and to solely focus his practice on the medical side of skin care. Battling chronic conditions. Dr. Ioannides has seen every kind of skin condition imaginable during his career as a dermatologist. In dermatology, a lot of patients have psoriasis, eczema, atopic dermatitis, and a variety of other inflammatory skin conditions. One promising supplement that Dr. Ioannides has used to help many patients with skin conditions is adequate vitamin D supplementation. Research suggests that Vitamin D can help your bones and teeth stay strong, and it supports your overall immune system health, as well as the health of your nervous system and brain. But some studies have shown that almost half of all adults in the U.S. have some level of deficiency. That figure is even higher for darker-skinned people. Ioannides has long been a champion of vitamin D when it comes to treating skin conditions because he has seen the remarkable difference it has made for his patients. He recommends everyone take a Vitamin D supplement (check with your doctor on the correct dosage). For people with skin conditions, Dr. Ioannides recommends a sizable dose of vitamin D, more than the recommended daily allowance, and sometime as high at 10,000 IU. He also recommends that people get 10 to 15 minutes of sun each day. That minimal amount of time in the sun won't hurt their skin, and it can do wonders for the body and mind. Battling cancer. Looking forward, in the medical field, there are endless trends that can literally mean the difference between life, and potentially death, for numerous amounts of people. Thus, breakthroughs, advancements, and vaccines are always exciting to be a part of. About six or seven years ago, Dr. Ioannides was involved with research for the new skin cancer vaccine. Throughout his lifetime, this has been most likely one the biggest, if not the biggest, breakthrough within the dermatological field. There has been an epidemic of skin cancer, and this vaccine has shown considerable promise with helping decrease some of it in a large number of patients. One possibility in particular is using the HPV vaccine Gardasil reduced the number of new basal and squamous cell skin cancers. Dr. Ioannides has suggested using the vaccine as an off-label treatment by directly injecting it into the tumors. In one case, a patient was first given two doses of the 9-valent HPV vaccine in her arm, six weeks apart. Then several tumors were injected directly four times over 11 months. All the tumors resolved themselves, and there has been no further recurrence. Dr. Ioannides is married and has children. Though each day varies, he generally gets up around six in the morning, and begin the daily routine that begins with a short workout. Being active in the morning allows Dr. Ioannides to feel energized throughout the day, knowing that he began the day proactively taking care of himself. In addition to his commitment to the Treasure Coast as a physician, Dr. Ioannides extends charitable support to many local organizations. He doesn't believe in lining the pockets of big pharmaceutical companies for his own gain. 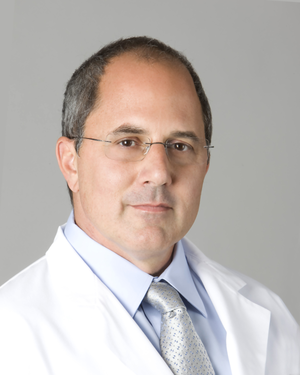 Instead, Dr. Ioannides plays an important role in educating future dermatologists in dermatologic surgery and reconstructive surgery as a Voluntary Associate Professor at the University of Miami School of Medicine. It's his way of giving back to the school that helped him launch his career, as well as having a hand in shaping the future of those who will take over the reins of dermatology.